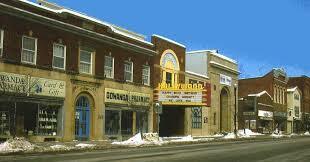 What do you love about the Village of Gowanda? Snap a photo of some of your favorite beautiful things and send them in for your chance to have your photo featured in the “What is Beautiful About Gowanda” scavenger hunt competition. Participants will be challenged with identifying places, people, things and events featured in the scavenger hunt at the Christmas in Gowanda celebration on December 4rd and December 5th. Winning participants will correctly identify all featured photos and will then be entered for a chance to win a prize! There will be 1 winner chosen on Friday, December 4th and 2 chosen on Saturday, December 5th. Take a picture of anything you find beautiful about the Village of Gowanda and upload it here along with a caption, your name and contact info.